Is your speaker just too dumb? Do you sit in frustration, issuing fruitless voice commands to a cold, lifeless hunk of metal and plastic that couldn’t even do your bidding if it wanted to? It may be time to look into a “smart” speaker. From Sonos to Apple, smart speakers are hot right now. 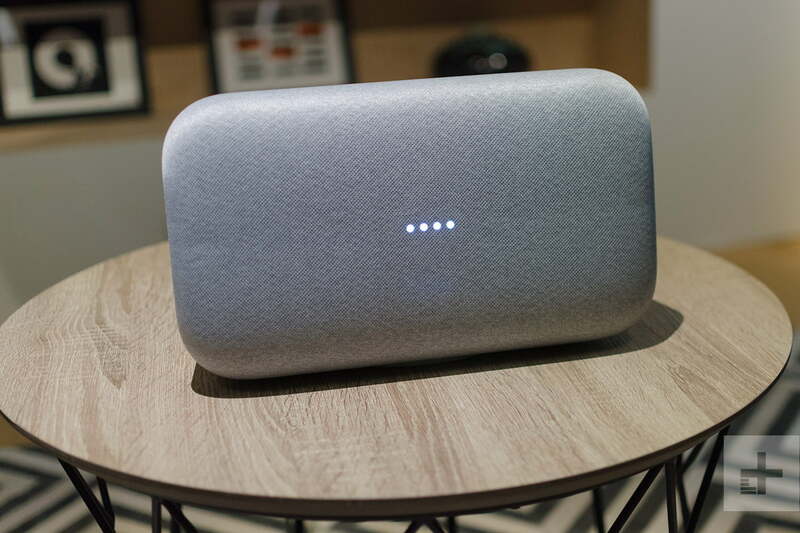 At the 2019 Consumer Electronics Show (CES) in Las Vegas, there were countless devices of all shapes and sizes packing speaker drivers, microphones, and digital assistants capable of answering your queries and helping you control your smart home products. But how do you separate the good from the bad? We’ve gone and done it for you. No matter your needs, these are the smartest speakers out there. Editor’s note: There’s one smart speaker for Microsoft’s Cortana A.I. (the Harman Kardon Invoke), and given Cortana’s lack of popularity, it didn’t warrant a spot on our list. However, Microsoft’s latest strategy appears to revolve around adding Cortana to existing smart speaker platforms, with Amazon Alexa as the first test bed. Samsung has announced that will soon be launching its Galaxy Home a smart speaker equipped with Bixby, its proprietary A.I. Once we get a chance to check it out, we’ll update this list again. Why you should buy this: It sounds incredible, has Alexa built-in, and offers wide support of multiple streaming services. With gorgeous sound, a small footprint, and Amazon Alexa built-in, the Riva Concert goes head-to-head with our previous favorite smart speaker, the Sonos: One. But there are a few awesome features that help the Riva Concert beat the Sonos option. First and foremost, it’s that the Concert offers true stereophonic sound — something the compact Sonos speaker doesn’t offer. This means wide stereo image and a beautiful soundstage, allowing the speaker to reproduce your favorite tunes with ease. The splash-proof Riva Concert also features Bluetooth (another thing Sonos lacks), and the option to add-on an external battery — meaning it can be a great portable speaker, should you need one. The Concert supports Spotify Connect and Airplay, and is extremely easy to set up via the company’s Riva app, making it an absolute no-brainer regardless of which of the most popular streaming services you use. Why you should buy this: It’s affordable, controls your home, and can route sound through bigger speakers. Who it’s for: Those in need of an Alexa voice-control hub. Alexa is the first Artificial Intelligence (A.I.) assistant that comes to mind for most people, and Amazon’s Echo has followed suit, becoming the signature smart speaker line. Typically, the Echo series — comprising the Echo, Echo Dot, Echo Spot, Echo Plus, and Echo Show (not to mention auxiliary items like the Echo Buttons and Echo Connect) — prioritizes smart control over audio quality, but the Dot’s got a unique solution for that concession. At just $50, the Echo Dot offers all the Alexa-based powers you’d get from the full-size version, and adds an awesome touch — an auxiliary output port, which allows you to route playback through a bigger (and presumably better-sounding) speaker, as long as that speaker has an aux-in jack. Like the Echo, the Dot’s microphone will recognize your voice individually, so everyone can quickly get the info they need, and it’ll offer full command over all your Alexa-compatible smart devices. Plus, of course, it can tell you jokes and help with homework. Why you should buy this: It’s cheap and surprisingly powerful. Who it’s for: Those in need of an affordable Google Assistant voice-control hub. When Amazon introduced the Echo Dot, Google must have taken it personally, because it went out and designed a speaker that’s basically the exact same thing, except it sounds better. The Home Mini doesn’t have an aux-out port for sending your tunes to a bigger speaker, but it’s a damn good option nonetheless. If you prefer Google Assistant to Alexa, the Home Mini is pretty much a no-brainer (unless you want to shell out some more cash for something with more oomph). There are tons of gizmos and gadgets that work with Assistant, it’s got individual voice matching, and it’ll make phone calls hands-free. Compared with the Dot, the Mini is a tad taller and has a much stronger sound overall. It’s not going to blow your mind with clarity and detail, but it won’t make you cringe either. Why you should buy this: You’re willing to pay for great sound, and you’re an Apple fanatic. Who it’s for: Strictly those with an iPhone and an Apple Music subscription. First of all, we don’t want to mislead anyone. The HomePod is not currently a very effective smart speaker. 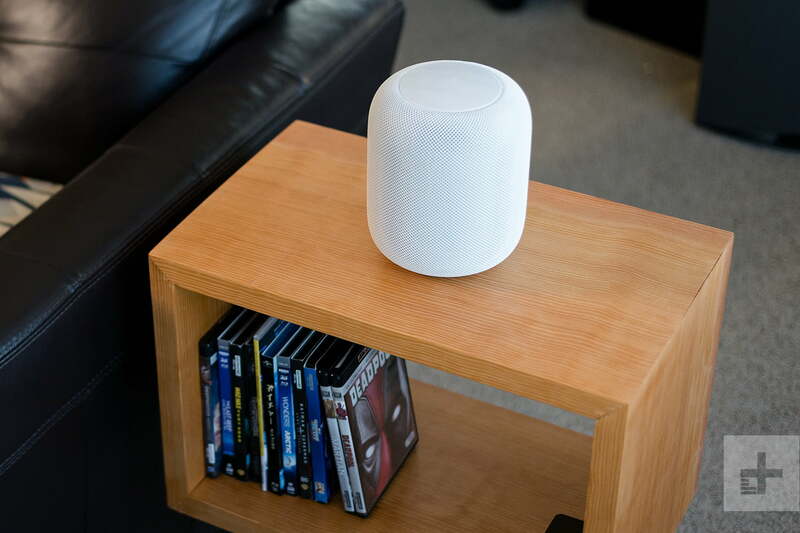 It only plays nice with iPhones, doesn’t currently offer multiroom audio support, and might stain your wood furniture (though, some say Sonos and Echo will too). Still reading? Well, good, because the HomePod does happen to do one thing very well: Play music. Assuming you’re an iPhone user subscribed to Apple Music, the HomePod is an excellent choice. Its A8 processing chip constantly scans the speaker’s environment to optimize audio quality, and it works impressively well. No matter where you place the HomePod, it sounds great, thanks in part to seven (!) tweeters surrounding a four-inch driver, each equipped with its own amplifier. Bass is big, midrange performance is warm and velvety, and treble is clearer than we’d ever hoped for upon the speaker’s initial announcement. If you’re flush with cash, and don’t mind spending extra time chatting with Siri, this is an awesome-sounding speaker. Why you should buy this: It’ll blow your doors off, and supports Google Assistant. Who it’s for: Google Assistant users or those with extra cash to spend. 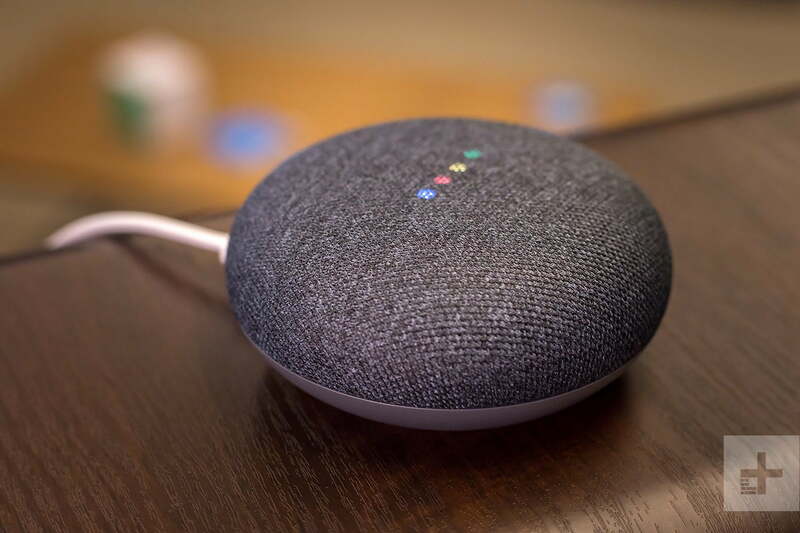 Like the Google Home Mini above, the Home Max is compatible with a laundry list of smart devices, it can recognize different voices, and it’s got an understated, fabric-covered form factor that looks a little nicer than most of Amazon’s gaudy, futuristic speakers. It’s also a sonic savage, capable of filling spacious rooms with booming bass and startlingly clear audio. At more than 11 pounds, it’s not really a speaker you’ll be carrying from room to room, but you probably won’t need to, because you’ll be able to hear this puppy from a distance. The touch controls are neat, if limited, and the Max supports a litany of hi-res audio codecs for playback. The microphone does occasionally struggle to pick up commands over loud music, but chances are you won’t be asking for weather updates while you’re dancing the night away. Why you should buy this: This smart speaker not only fills a room (or a condo) with sound, it fills it with style too. Who it’s for: Anyone who wants a smart speaker, but can’t stand the sound and style compromises required by many of the other models. Why we picked the Marshall Stanmore II Voice: You’d think that given the number of companies out there, all producing smart speakers, we’d have a greater variety of designs to choose from. But plastic and fabric pucks and cylinders are everywhere, and for some of us, it’s just not the look we’re going for. Though not a budget purchase, Marshall’s Stanmore II Voice is a breath of fresh air in a category that desperately needs it: Superb wireless sound, in a retro-guitar-amp body that oozes authenticity, and Alexa built in. What more could you ask for? Google Assistant perhaps? No problem: It comes in a Google-flavored version too. Why you should buy this: It’s part smart speaker and part portable Bluetooth speaker. Who it’s for: Anyone who values versatility and portability. The Tap occupies an interesting niche in the smart home space. It doesn’t offer the best sound quality-to-price ratio, it can’t make phone calls for you, and it doesn’t have any revolutionary abilities. It does, however, have a rechargeable nine-hour battery, so it effectively splits the difference between portable Bluetooth speakers and Echo-esque smart speakers. The Tap boasts 360-degree audio, and unlike the Echo, it fires omnidirectionally — not downward — meaning the sound travels further and with better clarity. It’s got a microphone button on board for Alexa activation, but you can set it up for voice activation using the mobile app. Otherwise, it can do everything an Echo does, minus phone calls. Need trivia answers? Sure. Access to Alexa’s Skills? You betcha. Want to trigger smart home routines? You get the picture. Just don’t take it near the pool, as it’s not waterproof.